Joel Jenkins was among several deputies who pursued Ronald Rooker in March 2015. Jenkins was among the deputies participating in the chase that lasted 17 miles before Rooker, 26, reportedly rammed at least one cruiser. Witnesses say Rooker's pickup truck spun out and ended up backed against a creek bed. That's when Jenkins, 31, fired nine rounds at Rooker. A deputy coroner testified that at least two of the shots were fatal. Jenkins says he feared for his life and fired because he thought Rooker was reaching for a gun. No guns were found in the vehicle. Jenkins still faces an involuntary manslaughter charge in another 2015 shooting. In December of that year, Jenkins called 911 to say a gun accidentally went off and a bullet hit a neighbor. Jason Brady was struck in the head and died from his injury. Prosecutors say Jenkins had been drinking just before the shooting. 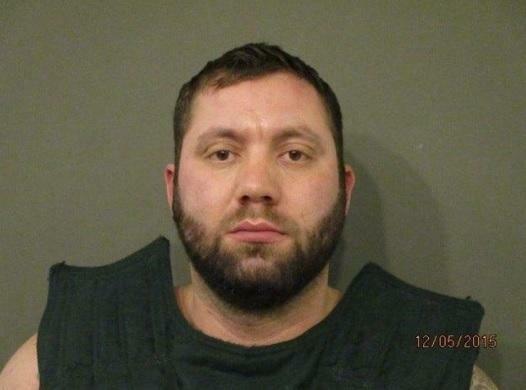 A former Ohio sheriff’s deputy indicted in two fatal shootings started one trial today.